Mega-star Ed Sheeran swapped a crowd of 40,000 for one of 40 when he performed a secret gig in a Belfast pub after his sold-out Boucher Road concert. The Galway Girl hit-maker arrived unannounced in Maddens Bar - the home of traditional folk music in the city - with some of his backing musicians after finishing on stage. He wowed the punters with a short selection of his hits, some of which were sung by support act Anne-Marie. Ed and his gang were a massive hit with the Maddens regulars including young barmaid Rhiannon McLaughlin, who passed her driving test the following day after words of advice from the Shape of You star. "He was so friendly and so too were the other members of his band, it was like having your own personal concert," said the teenager. 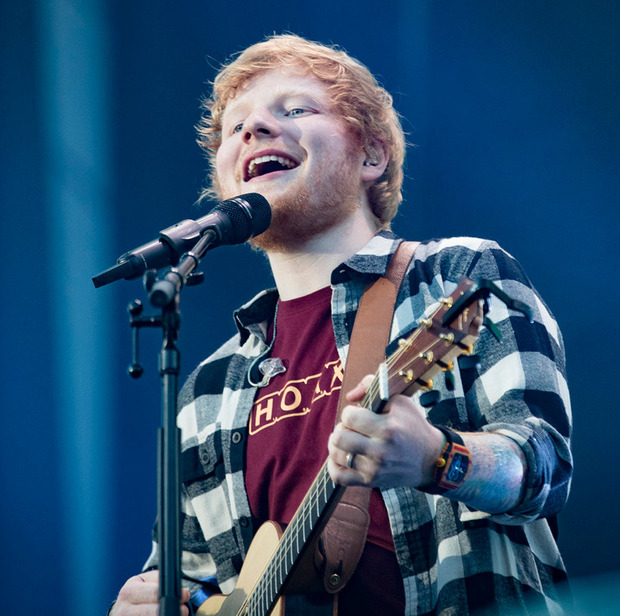 Earlier on Wednesday Ed wowed 40,000 fans at the rain-soaked Boucher Road playing fields, tickets for which cost an eye-watering £80. But later that evening the 27-year-old performed for free to a much smaller, but nonetheless appreciative crowd in Maddens Bar which is in Berry Street at the back of the CastleCourt shopping complex. The founder of Gingerbread Man Records looked relaxed as he chatted with fans and signed autographs. Another punter told Sunday Life: "He had his guitar with him so he must have arrived with the intention of playing a few hits. "Maddens is famous in Belfast for traditional music and someone in Ed's team heard about this and told him it would be a good place to relax after the gig. Everyone had a great time and were singing along while he played the guitar." Ed is due to play at Pearse Stadium in Galway tonight followed by two dates in Dublin's Phoenix Park before his tour heads to England.